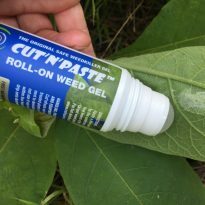 Cut’n’Paste Original Weed Gel is very safe, convenient and easy to use. 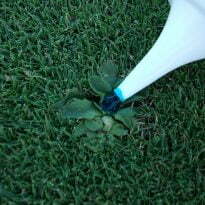 With Cut’n’Paste you target your weed control and no spray drift. 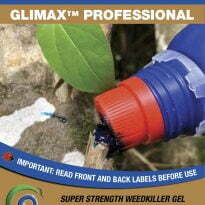 An effective weedkiller when and where you want it, the silver bullet of weed control. 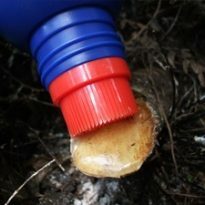 Great for freshly cut stumps and also great for leafy weeds to wipe onto the underside of leaves. With the brush top applicator cutting and pasting is a doddle. The biggest bottle, the brightest blue. Cut’n’Paste is the best priced weed gel – Great value for money. 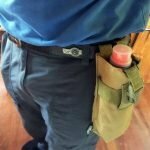 Cut’n’Paste is used by DoC and councils NZ wide, Treescape Environmental and many other contractors. Don't forget to select a product option first! Paste immediately after cutting for best effect. Blue dye is available on order of 5 and 20L on request. 1. Grab a pair of plastic gloves to make it easier and safer to apply onto leaves. 2. 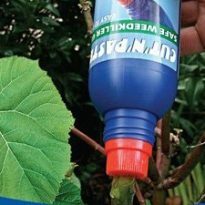 Wipe onto the UNDERSIDE of some of the growing leaders of your leafy weeds by holding the leaf in one hand and wiping on with the brush in the other hand. 3. Say goodbye to your weeds. Watch them die away over the next week or two. Works for great big leafy weeds too! What weeds can you deal to? The list is almost endless. Don’t confuse Cut’n’Paste with Roundup Gel. 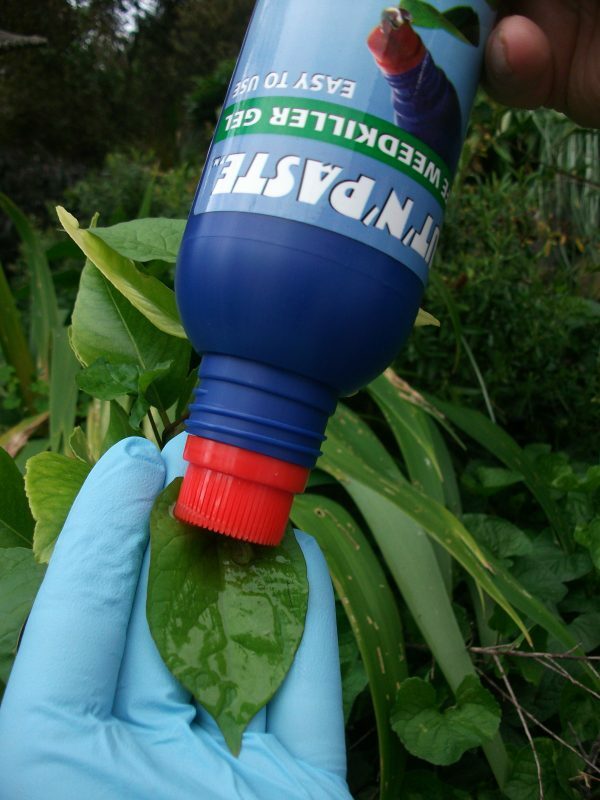 Roundup Gel is designed to kill the weeds in your garden path. Cut’n’Paste has 16 times more active ingredient and will also kill your gorse and agapanthus and ginger, the list is endless. And at 3 times as much in the bottle it’s 30 times the value for money. Wooly Nightshade, Ivy, Willows, Lantana, Ginger, Agapanthus, Convulvulus, Boneseed, Boxthorn, Inkweed, Convulvulus, Oxalis, …….. With Cut’n’Paste it’s never been so easy. 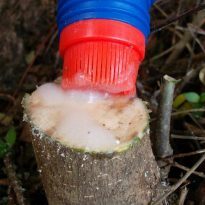 If the stems are large cut the weed or tree down to ground level and immediately paste the stump with a 3mm layer of Cut’n’Paste™. 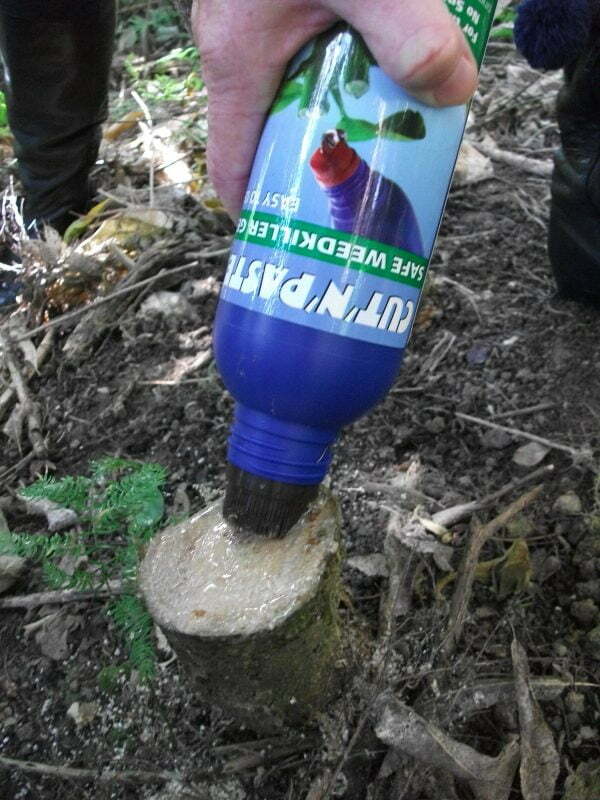 Hold the bottle upside down, squeeze some of the gel onto the brush and gently apply to the cut stem. The plant will absorb the herbicide which will then spread through the plant and kill the roots. 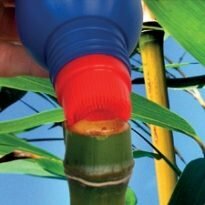 If the plant is small, the stem can just be snapped and the paste applied into the snapped plant material and it will be absorbed in this way. 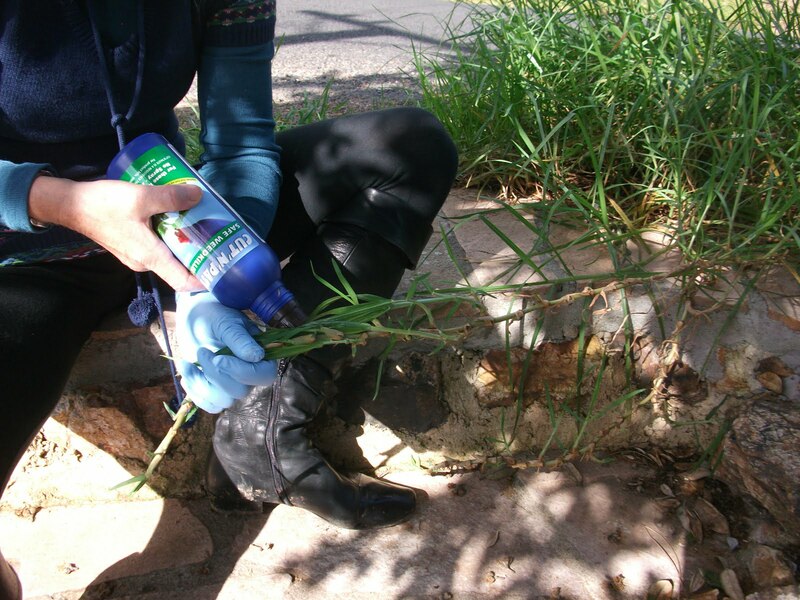 Creeping and spreading weeds can be controlled without risk to surrounding plants and without digging out difficult root systems. When stems are small best results on all weeds are obtained by pasting the leaves or greenery. Drop us a line anytime at Info@cutnpaste.co.nz or phone 021 027 11631, and we’ll respond to you as soon as possible.